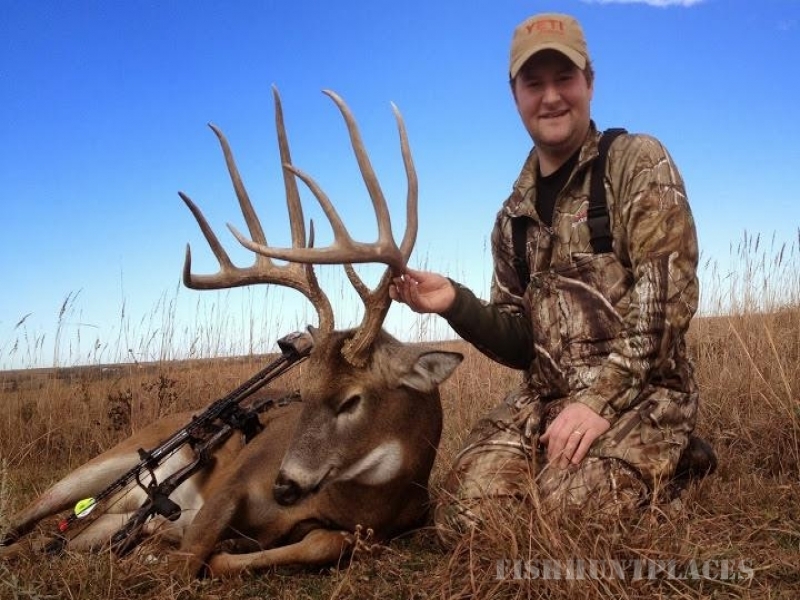 Your Kansas hunting experience will take place in Washington County in North Central Kansas. 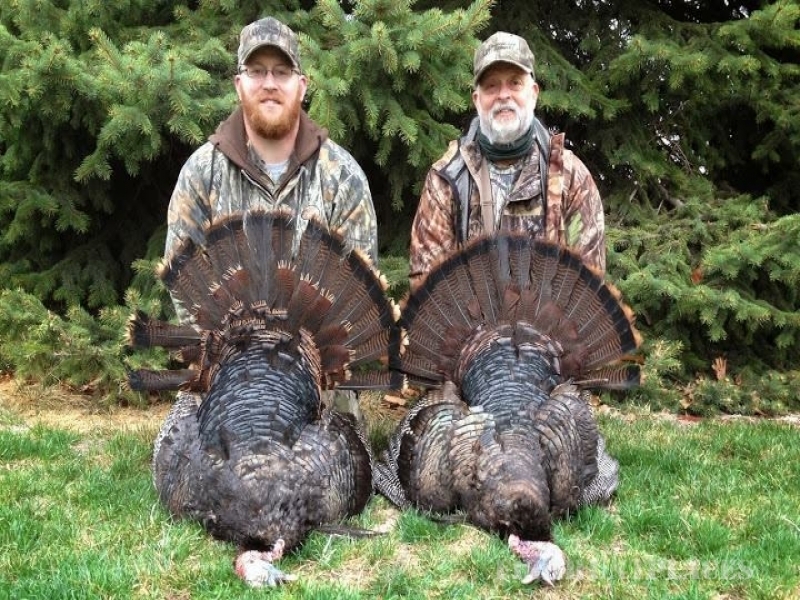 We offer Kansas trophy whitetail deer and Kansas spring turkey hunts. 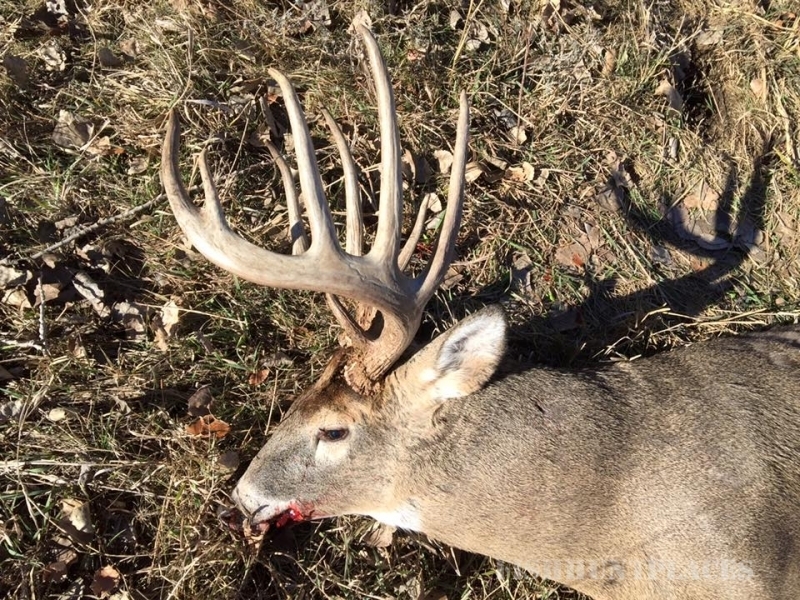 We have leased thousands of privately owned acres of prime deer and turkey habitat for Kansas hunting. Our Kansas land consists of creek and river bottoms, rolling hills, CRP fields, hardwoods and cedar draws. Cropfields consist of milo, corn, soybean, wheat and alfalfa. The soil in North Central Kansas is some of the richest in the state. 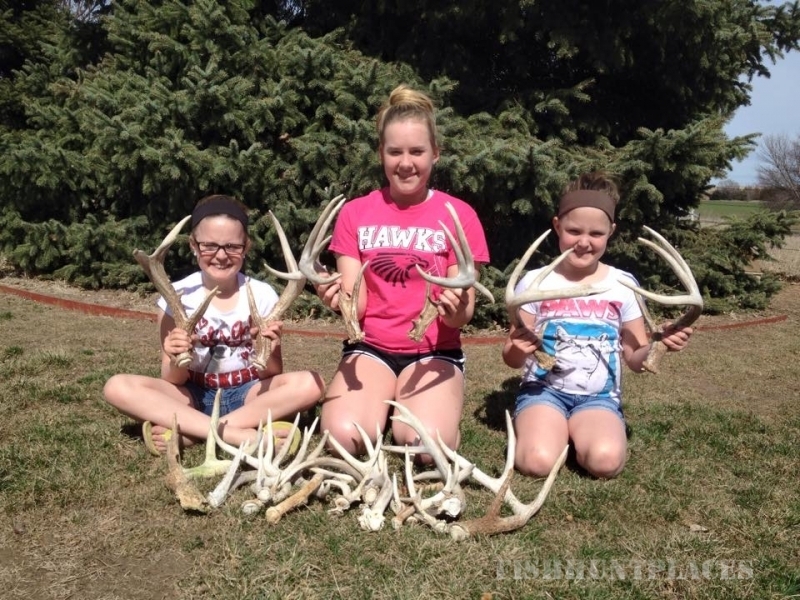 The Blue River Whitetails hunting area also has mast crops such as acorns that deer love, thus providing all the nutrients for growing Kansas trophy whitetails. 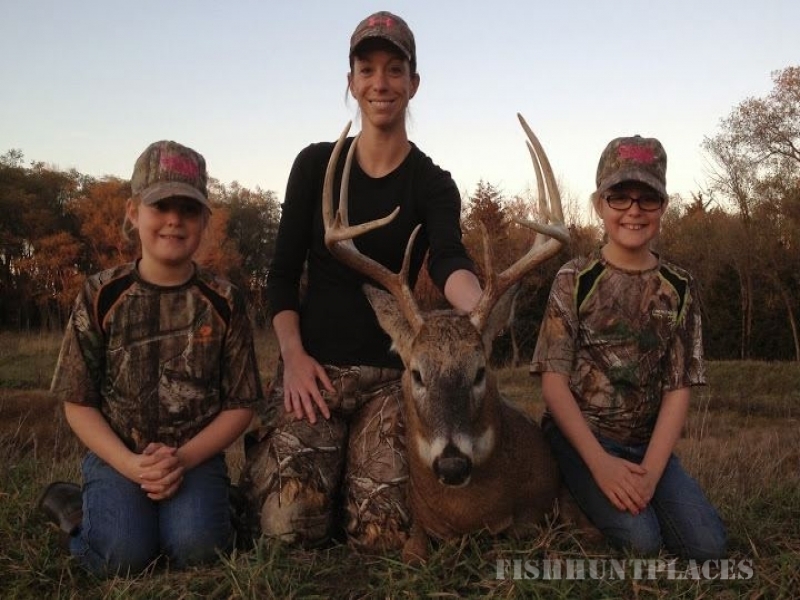 David Schotte is the owner and licensed guide of Blue River Whitetails. 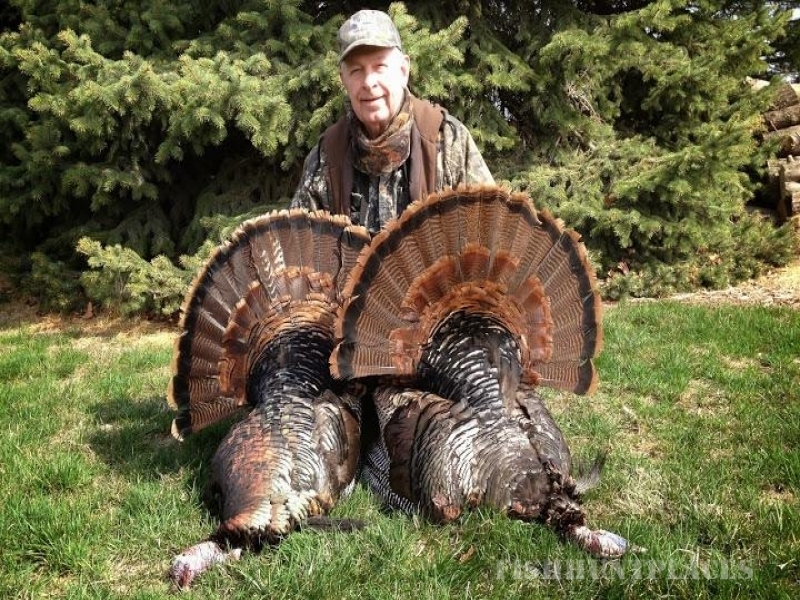 Living in the Hanover, Kansas area all of his life has given him an intimate knowledge of the land. Over his 34 years of Kansas deer hunting, David has had the opportunity to take several trophy deer and has helped friends do the same. 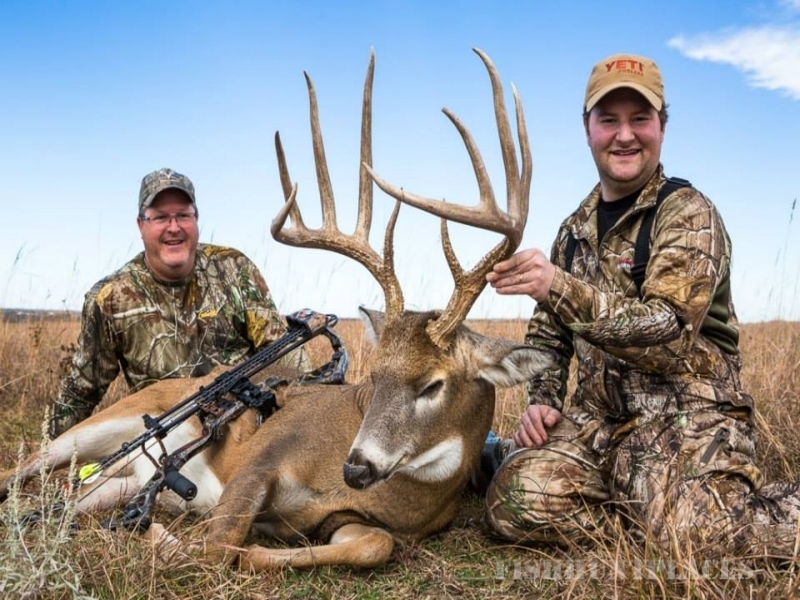 His experience in archery and rifle hunting could possibly put you on the trail of the trophy whitetail of your dreams.